NECKLACE - SARAH COVENTRY. 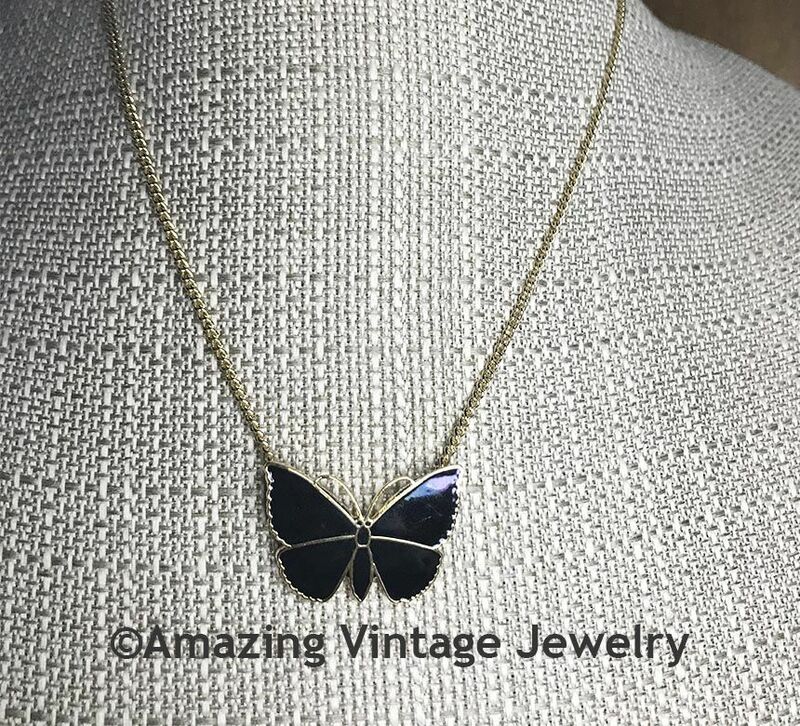 "MIDNIGHT BUTTERFLY" FROM 1984. 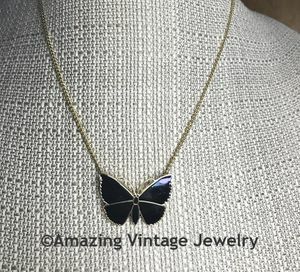 GOLDTONE BUTTERFLY WITH BLACK ENAMEL ON A DELICATE CHAIN. PENDANT IS ABOUT 1" LONG, 1 1/4" ACROSS. CHAIN IS ADJUSTABLE TO 16" AND 18" LONG. EXCELLENT CONDITION.